Fall in love with Grapes! Although grapes are available at most supermarkets all year round, Grapes from California are in season between May and January, and now they are at their peak! 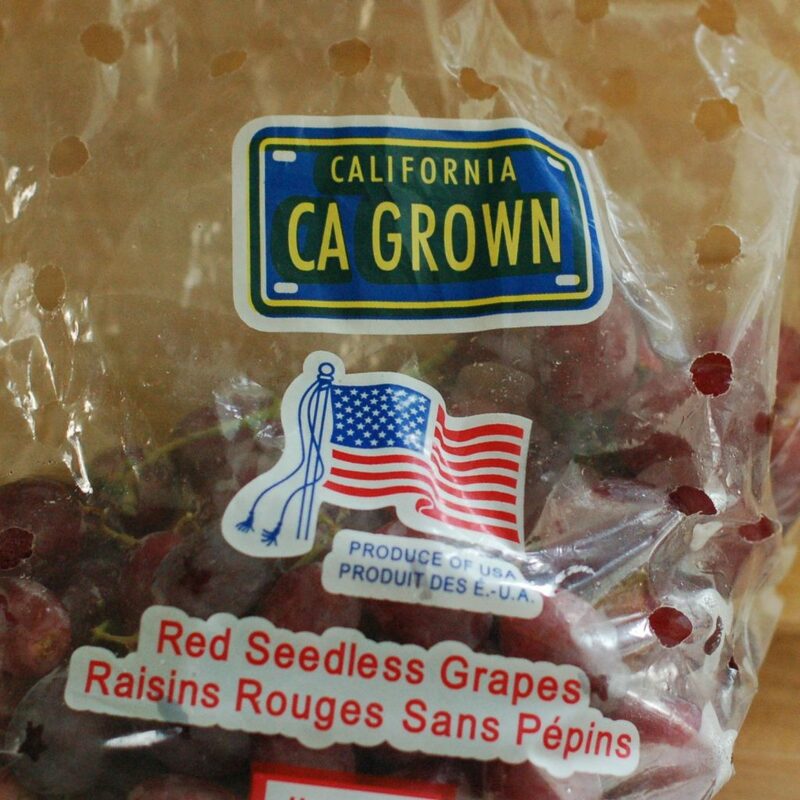 Hence the theme for this month’s sponsored Recipe ReDux challenge from the California Table Grape Commission. We’ve been enjoying grapes all summer – they’re a perfect snack for kids and a Nutritiouliciously refreshing treat when frozen. But how many people actually cook with grapes? Dried grapes, aka raisins, are popularly used in baking and some savory dishes, but not a lot of people think to actually use fresh grapes when cooking. I have roasted grapes before and added them to a salad, but this challenge was a perfect opportunity to explore other flavor combinations. Grilling brings out the sweetness of grapes and shallots, and nicely balances the nutty, earthy flavor of the farro. 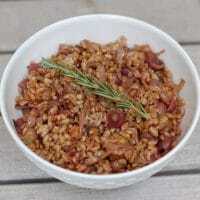 Cook farro in water according to package directions. In a measuring cup or small mixing bowl, whisk together the oil, vinegar, honey, 1/2 teaspoon rosemary, salt, and pepper. Set aside. Preheat gas grill to 350-400 degrees. Spread the grapes and shallots in a foil-lined pan and coat with 1-2 tablespoons of the dressing. Place pan on the grill and cook the grape and shallot mixture with the grill cover closed, stirring occasionally, until the mixture is soft, about 20-25 minutes total. The grapes should be shriveled, but still juicy. 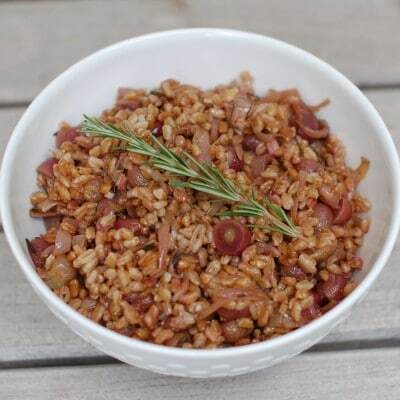 In a medium serving bowl, combine the farro, grapes, shallots, remaining 1 teaspoon rosemary, and 2-3 tablespoons of the remaining dressing. Add a pinch of salt and a few grounds of fresh pepper. Serve garnished with rosemary. If you don't have a grill, you can roast the grapes and shallots in the oven at 400 degrees. Grapes of all colors – red, black, and green – are a natural source of antioxidants and other polyphenols, which protect our hearts and cell function. 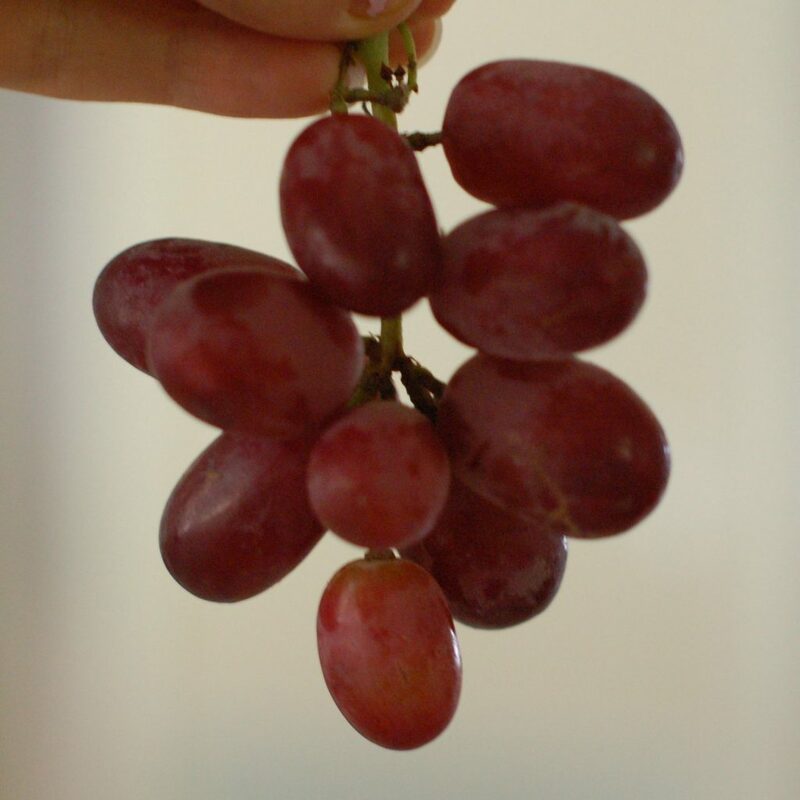 1 serving of grapes (3/4 cup) has only 90 calories, no fat, no cholesterol, and virtually no sodium. Grapes also provide potassium and are a good source of vitamin K.
Unlike many fruits, grapes are harvested when fully ripe. Once picked, they do not become any sweeter. Have you cooked with table grapes before? Please share your recipe ideas! Thanks Deanna. It is really so delicious, if I do say so myself! !